AC Input: 100~240V / 50-60HZ. DC Output: 19.5V 3.33A. Power: 65W. POWER CORD is included where applicable. Product Details. Laptop battery for hp. 1 x AC Adapter. Laptop battery for dell. Laptop battery for apple. Laptop battery for IBM. Laptop battery for toshiba. Laptop battery for lenovo. Laptop battery for acer. GENUINE HP EliteBook, ZBook, 810 Revolve G Series. HP Compaq HP ZBook 14 G2 Series. HP Compaq HP ZBook 14 Series. HP Compaq HP ZBook 15 Series. HP Compaq HP ZBook 15u G2 Series. HP Compaq HP ZBook 17 G2 Series. Output: 19.5 V 2.31 to 45W. Safety: Overload Protection, Short Circuit Protection. 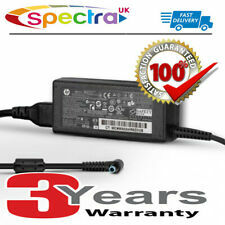 We insist on Genuine & original HP AC Adapters for unparalleled quality. HP Compaq HP EliteBook 2570p Series. HP Compaq HP EliteBook 740 G1 Series. 1x AC adapter. Such as battery, ac adapter etc. (Apply for Battery Only). We will very appreciated for your doing. All item passed FCC / CE / ROHS certificates. 1x Free power cable. Our 100% item locate UK Local warehouse. Original and genuine HP product. 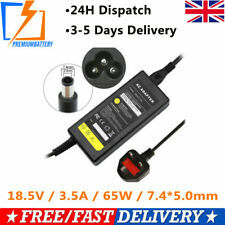 Provides 19.5V / 2.31A power. Has previously been used but is in very good condition. Watts : 65W. HP OmniBook 2000 Series. HP Compaq NX Series. HP OmniBook 800 Series. HP Mini 5100 Series. HP OmniBook 400 Series. HP Compaq NW Series. HP Compaq 6000 Series. (1x AC adapter. Such as battery, ac adapter etc. Our 100% item locate UK Local warehouse. (Apply for Battery Only). We will very appreciated for your doing. 1x Free power cable. excluded.). HP 2133 Mini-Note PC. HP Compaq 2230s Notebook PC. HP Compaq 2510p Notebook PC. HP Compaq 2710p Notebook PC. HP Compaq 6510b Notebook PC. HP Compaq 6515b Notebook PC. HP Compaq 6530b Notebook PC. HP Compaq 6535b Notebook PC. Features: Input voltage: 100-240V ~ 1.5A, 50 - 60Hz Output voltage: 19.5V ~ 2.31A 45W DC connector size: 4.5*3.0mm Includes power cable Package Included: 1x AC adapter 1x Free power cable. HP EliteBook 6930p Notebook PC. HP Compaq 2230s Notebook PC. HP Compaq 2510p Notebook PC. HP Compaq 2710p Notebook PC. HP Compaq 6510b Notebook PC. HP Compaq 6515b Notebook PC. HP Compaq 6530b Notebook PC. 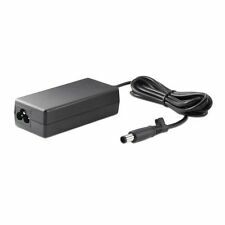 Lite-an® High Quality 6 5W Laptop Power Adapter For HP EliteBook 2560P 2570P. Power: 65 Watt. 1 X Power Adapter. Output Current: 3.5A. 1 X Power cord. Warranty Claim Process This limited warranty does not affect your statutory rights provided by law. HP ElitePad to USB Adapter. HP Compaq 2230s Notebook PC. HP Compaq 2510p Notebook PC. HP Compaq 2710p Notebook PC. HP Compaq 6510b Notebook PC. HP Compaq 6515b Notebook PC. HP Compaq 6530b Notebook PC. HP Compaq 6535b Notebook PC. Specifications: Brand: Sunydeal Input Voltage: 100-240V, 50-60HZ Output Voltage: 18.5v ~ 2.7A/3.5A/3.8A, 65W Size of Connector: 7.4 x 5.0mm Product Type: Replacement AC Adapter Condition: New High quality generic replacement laptop charger. 100% compatibility with the original. Buying tips for charger: 1. Please make sure the DC Output& Connector Size are matching your original Adapter before you buy. 2. Output Voltage and polarity must match with your old adapter..
Specification: Input voltage: 100-240V ~ 1.5A, 50 - 60Hz ​Output Power: 65W Output:18.5v ~ 2.7A/3.5A/3.8A, 65W Size of Connector: 7.4 x 5.0mm Condition: New Product Type: Replacement AC Adapter Certified to CE& FCC Standards, RoHS compliant. High quality generic replacement laptop charger. 100% compatibility with the original. Tips for how to choose the right charger/adapter for your laptop: 1. Please make sure the DC Output& Connector Size are matching your original Adapter before you buy. 2. Output Voltage and polarity must match with your old adapter..
You can find this information on the label of your original adapter. Power 90 Watt. Therefore, your laptop model could be available with LED back light or CCFL back light. Most of the laptop manufacturers do not manufacture screens by themselves like; Sony, HP, Dell, Advent, Acer etc. Laptop battery for hp. 1 x AC Adapter. Such as battery, ac adapter etc. Laptop battery for dell. Laptop battery for apple. Laptop battery for IBM. Laptop battery for toshiba. Laptop battery for lenovo. (1 x AC Adapter. Such as battery, ac adapter etc. (Apply for Battery Only). We will very appreciated for your doing. Our 100% item locate UK Local warehouse. excluded.). 1 X AC Adapter. Includes power cable. 1 X Power Cord. (1 x power adapter. Such as battery, ac adapter etc. AC Input: 100~240V / 50-60HZ. excluded.). Our 100% item locate UK Local warehouse. (Apply for Battery Only). We will very appreciated for your doing. HP ProBook 4520s 6450b 6550b. HP EliteBook 2530p 2540P 8440p 8540w 8740w. HP Compaq 6710b 6735s 6910 nc6400 nx6110. HP Envy17 17-1000. HP HDX16 x16-1280ea. HP Pavilion G4 G6 G7 G42 G56 -130SA G60 G72. 1 x AC Adapter. Such as battery, ac adapter etc. 1 x UK Power Cable. All item passed FCC / CE / ROHS certificates. Our 100% item locate UK Local warehouse. We work with a good quality supplier and factory. (Compatible Product LineFor HP EliteBook,For HP Pavilion,For HP ProBook. 1x AC adapter. Such as battery, ac adapter etc. excluded.). Our 100% item locate UK Local warehouse. (Apply for Battery Only). Compaq Presario: CQ40, CQ45, CQ50, CQ60. HP Compaq 2230s Notebook PC. HP Compaq 2510p Notebook PC. HP Compaq 2710p Notebook PC. HP Compaq 6510b Notebook PC. HP Compaq 6515b Notebook PC. HP Compaq 6530b Notebook PC. 2230s, 2510p, 2530p, 2710p, 2730p, 6510b, 6515b, 6530b, 6535b, 6710b, 6715b, 6720s, 6720t, 6730b, 6730s, 6735b, 6735s, 6820s, 6830s, 6910p, 6930p, 8510p, 8510w, 8530p, 8530w. HP ProBook 4310s, 4311s Notebook PC Series. PRODUCT DETAILS This is a Brand New Quantity - 1 Product Type: Replacement AC Power Adaptor / Charger Colour: Black AC Input: 100~240V / 50-60HZ DC Output: 19.5V 3.33A Power: 65w Connector Size: 4.5 x 3.0mm 65W HP EliteBook 840 G4 Notebook PC Compatible Laptop AC Adapter Power Charger. Genuine HP 15 Series 740015-003 741727-001 740015-001HP envy x360 15-cn0504na. HP Split 13-g118CA x2 E8C35UA, HP Split 13-g160BR x2 E7J08LA, HP Split 13-g180LA x2 E7H90LA . HP Split 13-g190LA x2 E2B88LA, HP Split 13-m010DX x2 E0W59UA, HP Split 13-m001TU x2 E4Y04PA . HP EliteBook 6930p Notebook PC. HP 2133 Mini-Note PC. HP Compaq 2230s Notebook PC. HP Compaq 2510p Notebook PC. HP Compaq 2710p Notebook PC. HP Compaq 6510b Notebook PC. HP Compaq 6515b Notebook PC. HP Compaq 6530b Notebook PC. Laptop Parts. Technical Information. Condition New. Volts 19.5V. United Kingdom. GENUINE ORIGINAL HP AC ADAPTER 19.5V – 2.31A - 45W, HSTNN-CA40 (PART NUM: 744481-002) – USED: GOOD CONDITION. Output:19.5V (2.31A) 45W. 1x GENUINE ORIGINAL HP LAPTOP AC ADAPTER 19.5V – 2.31A - 45W, HSTNN-CA40 (PART NUM: 744481-002). Laptop battery for hp. 1 x AC Adapter. Such as battery, ac adapter etc. 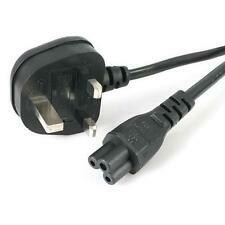 1 x UK Power Cable. Laptop battery for dell. Laptop battery for apple. Laptop battery for IBM. Laptop battery for toshiba. Compatible Product LineFor HP EliteBook. HP EliteBook 6930p Notebook PC. HP 2133 Mini-Note PC. HP Compaq 2230s Notebook PC. HP Compaq 2510p Notebook PC. HP Compaq 2710p Notebook PC. HP Compaq 6510b Notebook PC. Laptop Parts. Volts 19.5V. Condition New. Technical Information. United Kingdom. Power: 65W. POWER CORD is included where applicable. DC Output: 19.5V 3.33A. AC Input: 100~240V / 50-60HZ. Product Details. Lite-an® High Quality 45W Laptop Power Adapter For HP EliteBook 840 G3 Blue Tip 4.5mm 3.0mm. Power: 45 Watt. 1 X Power Adapter. 1 X Power cable. Warranty Claim Process This limited warranty does not affect your statutory rights provided by law. While laptop computers are an excellent convenience since we can use them for hours on battery power, they still require charging on a regular basis with a dependable adapter. eBay is an ideal place to find laptop chargers for all types of computers like those by Hewlett-Packard. eBay makes shopping for adapters or any computer accessories, quick and simple at reasonable prices, too. What HP EliteBook chargers are available? 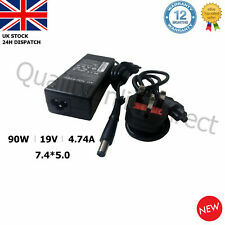 eBay is an excellent place to find an HP EliteBook charger, along with other computers, and there's a vast selection available. Find chargers from reputable brands like HP, Dell, and generic brands that are HP compatible. You'll find AC/standard chargers, AC/DC, and DC/in-car adapters with output voltages of 18.5V, 19V, 19.5V, and 20V. When you shop for chargers at eBay, you are sure to find what you want. What if the voltage of the replacement isn't the same? When it comes to laptop batteries, it's not uncommon for the voltage to vary slightly. Therefore, batteries that are 10.8V and 11.1V are cross-compatible. Some find the input ratings at the bottom of their laptop computers as the rating applies to AC power input only and doesn't refer to the batteries. It's entirely possible to have an 11.1V battery with a 19V AC input rating. Usually, the voltage for laptop adapters and chargers tends to vary by more than +/- .5 volts. The output amperage of the adapter, different from voltage, should either meet or exceed the minimum laptop requirement. A higher amperage adapter than what your laptop specifies is ideal because if it's more powerful and runs cooler and less stressed. The higher wattage is also a good thing so long as the output voltage matches the laptop's specs within +/- .5 volts. How do you choose a laptop adapter? Model number: First, locate your laptop's model number. Locate it on a sticker at the bottom of your laptop or at the side. If you can't find it on the laptop, try looking in the user manual or use your laptop's onboard help program to get the model number. You can also find it in the system properties section of your laptop. 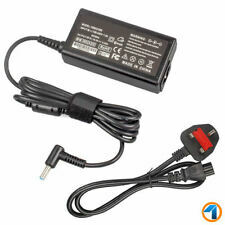 Wattage requirements: You'll also need the voltage requirements for the HP EliteBook charger adapter your laptop needs. Since adapters have varying voltage outputs, pay careful attention to this to ensure you find a replacement compatible with your laptop. The wattage requirements may be found in your user manual or on the computer listed as DC voltage. You may also be able to find it by checking for product or part numbers listed as compatible with your laptop. Search for an adapter: Using the model number and wattage requirements, using eBay's easy search, locate an adapter that is compatible with your laptop or that's the original equipment manufacturer or OEM. If you find an adapter with the correct output voltage but the wrong connector, keep in mind that you may be able to find port attachments to adapt the connector to the power port on your laptop as they are available at eBay, too.